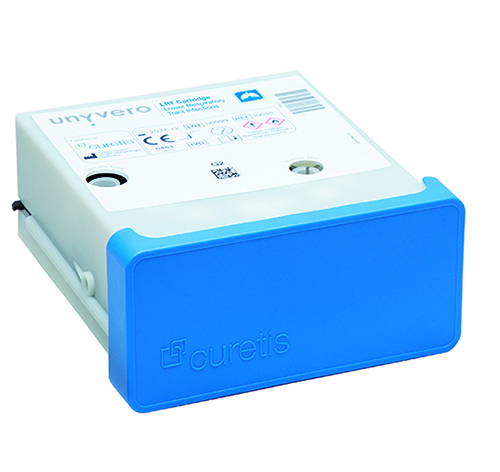 Molecular diagnostics company Curetis has announced the U.S. commercial launch of its Unyvero sample-to-answer molecular diagnostic system and the Unyvero LRT Application Cartridge for lower respiratory tract infections. Curetis obtained regulatory clearance for the Unyvero System and Unyvero LRT from the U.S. FDA in April. Together, the diagnostic system and cartridge provide infectious disease testing directly from aspirate samples in less than five hours. It covers more than 90% of infection cases of hospitalized pneumonia patients and provides an overview of genetic antibiotic resistance markers detected. The first-in-class molecular test for lower respiratory tract infections addresses an unmet medical need that creates $10 billion in annual costs for the U.S. healthcare system according to research by the Centers for Disease Control and the American Thoracic Society. It is also the first FDA-cleared molecular diagnostic for the atypical microorganism Legionella pneumoniae.